As my Facebook memories have been reminding me this past week, it’s been a year since my trip to Ireland. Admittedly it’s not at the top of most people’s travel bucket lists — to be honest, the main reason I went in the first place was to attend a convention. But once I was there, it quickly became one of my favorite countries. I loved how ancient cathedrals stood next to modern architecture (fun fact: Dublin is one of the tech capitals of Europe), how there was a pub on each street, and how despite centuries of struggle, Ireland stands proud and fierce, a nation that’s really coming into its own. 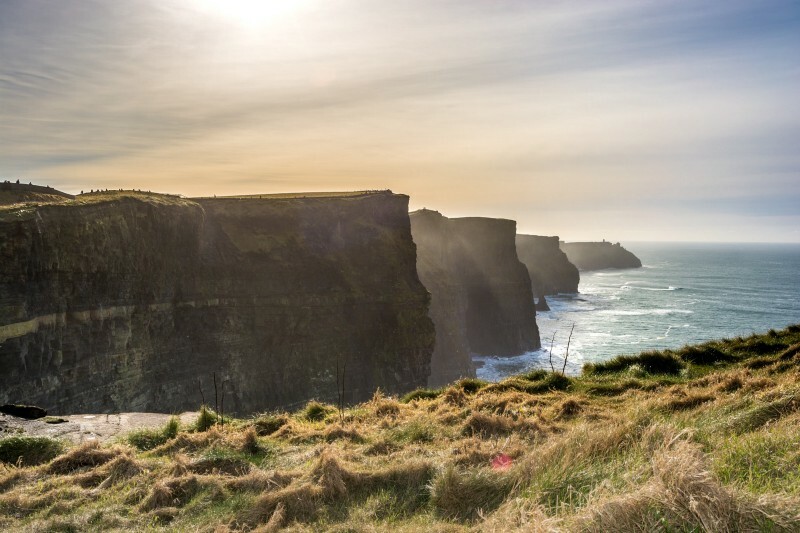 The Republic of Ireland is different from Northern Ireland, which is in the UK — meaning they require two separate tourist visas (and Ireland uses Euros as its currency, while Northern Ireland uses pounds). The visa for Ireland can take up to three months to process, so make sure to apply well in advance. While pretty much everyone speaks English, the first official language is Irish (sometimes also called Gaelic), and you’ll see most official signs in both languages. A lot of Irish slang is used in everyday life, and combined with the unique Irish accent, it can sometimes be difficult to follow conversations. Not to worry, though — the Irish are generally pretty friendly! Take advantage of the tax refund system and shop at affiliated retailers tax-free! Many stores will offer you the form/envelope once they find out you’re a tourist; just keep all your applicable receipts in there and follow the instructions to claim your refund at the airport. Dublin is fairly big, but the central area really just feels like a small town. Temple Bar is the tourist-packed nightlife neighborhood of Dublin, but it doesn’t feel like your typical clubbing area. Full of charming pubs, fish and chips takeaways, and funky cafes, spread out over a couple of streets right by the River Liffey, Temple Bar is well worth a visit, day or night. Order a pint of Guinness, clap along with some live Irish music, and take in the atmosphere. Irish girls generally don’t get too dressy for nights out. You’ll be fine in dark jeans, a silky cami, and flats (those cobblestoned streets are murder on heels). The Long Room is an absolute must-see for any visitor to Dublin. Built in the early 1700s, it’s the main chamber of the Old Library of Trinity College, University of Dublin. It’s right in the heart of central Dublin, and visiting comes packaged with a look at the famous Book of Kells, an illuminated manuscript of the Gospel. You can’t pull any books off the shelves, unfortunately, but you’ll have enough to do just looking around at the double-storey shelves and at the marble busts (featuring famous writers, artists, and philosophers) lining the hall. It was pouring buckets when we visited the Cliffs, with strong winds, freezing cold, and fog obscuring the full extent of the cliffs from the viewing deck. It did make the cliffs seem more majestic, though, and nothing beat the feeling of drinking hot coffee inside the warmth of the viewing deck’s cafe afterwards. The rain during my visit wasn’t very surprising — Ireland is called the Emerald Isle for a reason, and all that green is possible because of the rain. It’s sure to at least drizzle once during your stay, so bring a lightweight jacket and waterproof shoes to be safe. 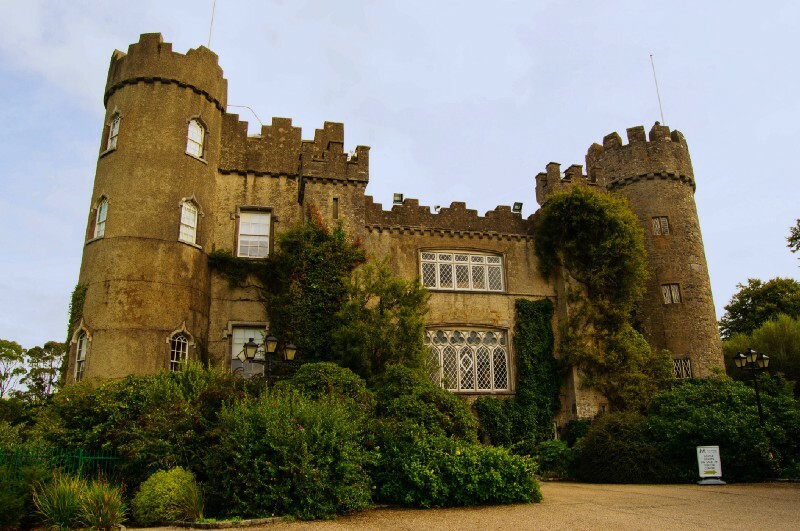 Malahide Castle isn’t the biggest or the most glamorous-looking, but it’s one of the oldest in Ireland, and only a half-hour DART (train) ride from Dublin. The inside is absolutely fascinating. The castle dates back to 1185, home to the Talbot family for eight centuries, and is full of history. Stepping into each of the four rooms on the tour is like stepping into a different time period — the 16th century world of the black wood-panelled Oak Room and 18th century polite society in the elegant Drawing Rooms are literally separated by a mere doorway. Head down the stairs into the Great Hall, and you’ll go back into the 1400s — the tour guide will even tell you about their resident ghost. After spending the morning in Malahide, it was only another half hour on the DART to Howth, a fishing village just outside of Dublin. My sister and I got takeaway fish and chips and sat by the water before tackling the Howth Cliff Path. Depending on how much time you have, and how much you want to walk, there are loops of varying lengths to choose from on the path. We did the three-hour loop. I’m not very fit, so the uphill walk wasn’t easy — but the sweeping views of the ocean were absolutely worth it. There’s a clearly defined path, so you don’t need to go in all-out hiking gear. Comfortable clothes and shoes are definitely still a must, though. I took another day tour to County Wicklow, just south of Dublin. We wandered through the Wicklow Mountains, through the Sally Gap pass, looking at stunning vistas of mountains, lakes, and boglands — which you might recognize from scenes in P.S. I Love You and Braveheart. One highlight was Lough Tay, or the Guinness Lake, so named because it looks like the unofficial Irish drink. I also loved our stop at Glendalough, a glacial valley that holds the remains of a 6th century monastery. Got your own list of must-sees and must-dos at your fave travel destinations? Drop us a comment down below.